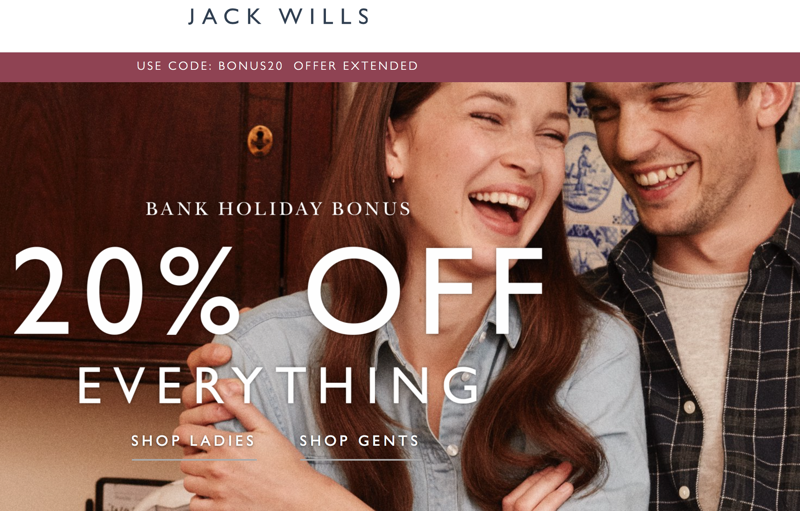 The Jack Wills Promotion is on with 20% off everything. Free UK delivery on all orders over £60 and free delivery to stores. Shop online with promo code: "BONUS20".